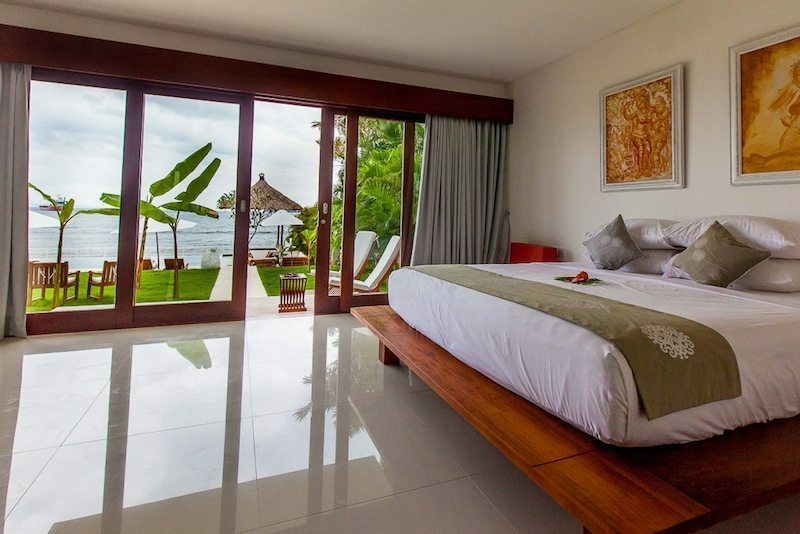 Villa Lucia is a four-bedroom villa situated in the amazing Amuk Bay in Candidasa, Bali. 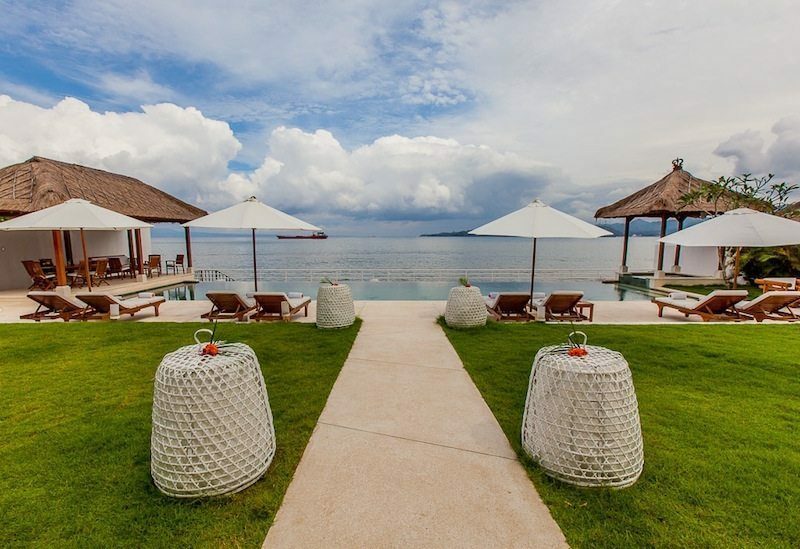 The all-white villa sits right on the water and offers jaw-dropping views of the bay from its 20-metre swimming pool. 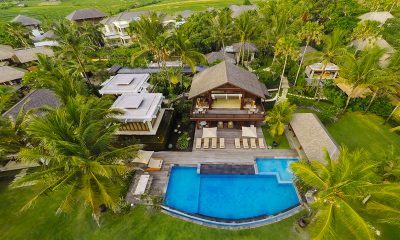 Villa Lucia is only a few minutes’ walk from the luxurious Alila and Amankila resorts, but still maintains the feel of the real Bali, far away from the madding crowd. 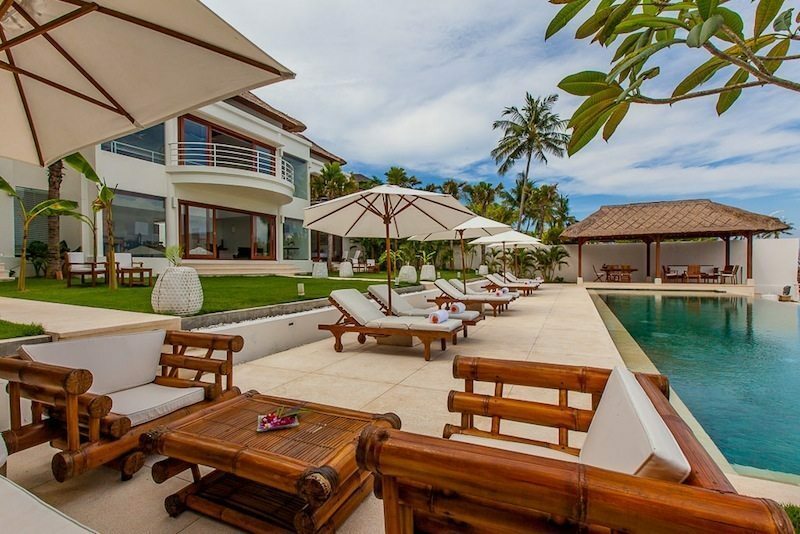 Villa Lucia has a white and bright design and offers great views of the ocean bay throughout. 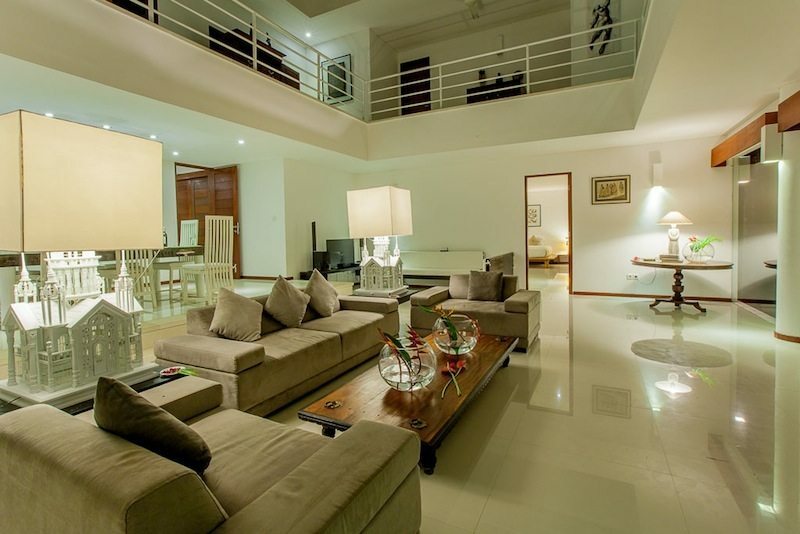 The villa is spread over two floors and offers a great sense of space, with the double height living room flanked by two bedrooms on either side. The living room has white leather couches surrounded by beautifully chosen art. The living room offers poolside views through glass doors. The dining table sits behind the living room sofas and seats up to eight guests. 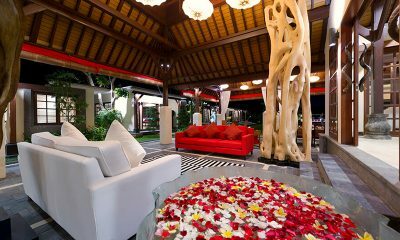 There’s also an outdoor dining area and a well-furnished kitchen at the villa. 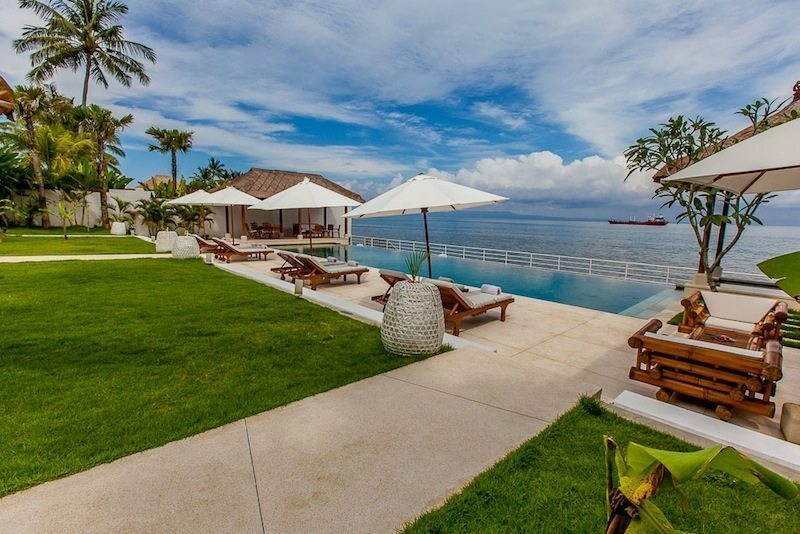 The villa has a 20-metre swimming pool which offers panoramic views overlooking the bay. The pool is flanked by sun loungers and parasols. At one end of the pool, there’s a thatched roof bale and at the other, a shaded outdoor dining area. 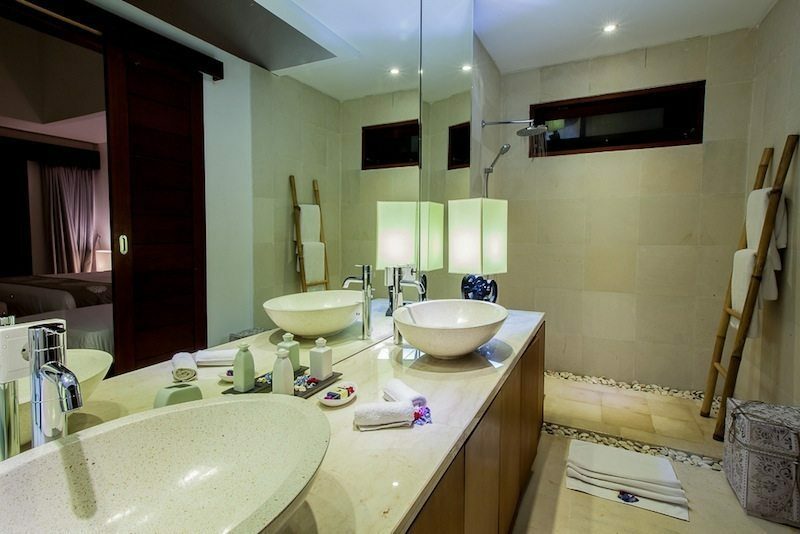 Villa Lucia has four bedrooms, all furnished with a king-sized bed. There are two bedrooms on the ground floor and two bedrooms are housed upstairs. The first bedroom is on the ground floor and comes with a king-sized bed and an ensuite bathroom with a shower. 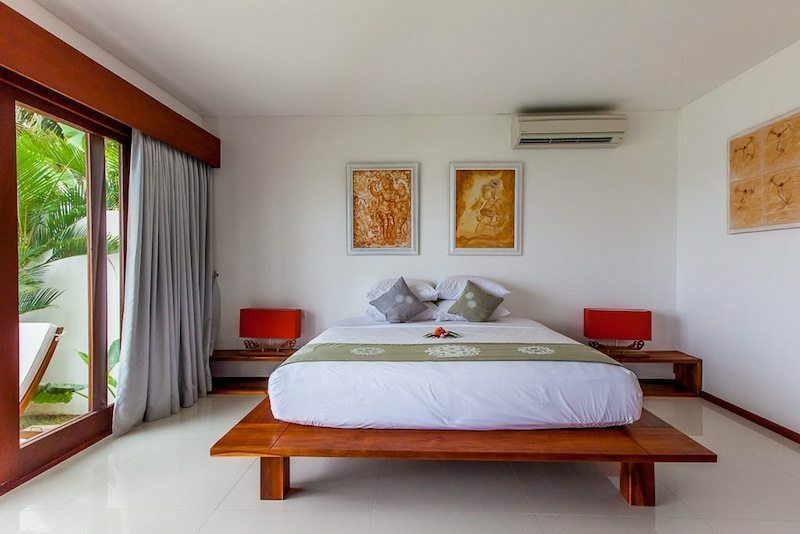 The second bedroom is also on the ground floor and comes with a king-sized bed and an ensuite bathroom with a shower. The third bedroom is on the upper floor and comes with a king-sized bed, a balcony and an ensuite bathroom with a shower. The fourth bedroom is also on the upper floor and comes with a king-sized bed, a balcony and an ensuite bathroom with a shower. 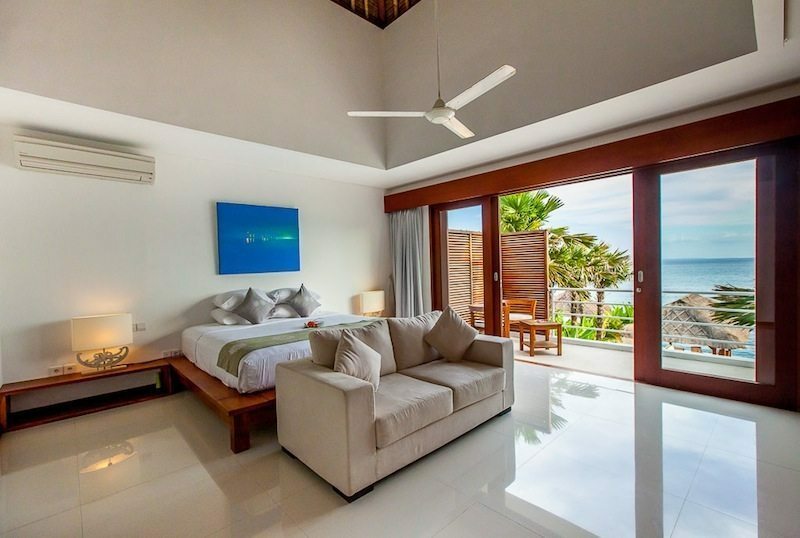 Villa Lucia is a four-bedroom villa spread over two floors. There are two bedrooms on the first floor. The ground floor includes the double height living and dining room which is flanked by a bedroom on either side. The living room offers views of the 20-metre pool through glass doors. 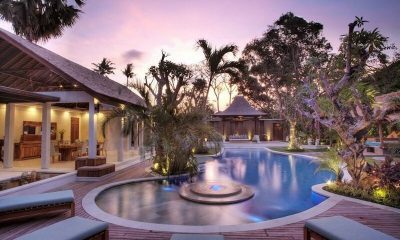 Villa Lucia’s staff have been professionally trained and will do their utmost to please with their warm and friendly Balinese hospitality. Villa Lucia’s experienced and knowledgeable manager is responsible for the overall operation of the villa. The villa manager will oversee and coordinate the staff and property and assist you during your stay. 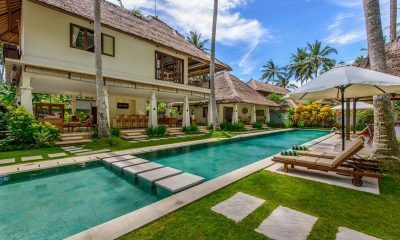 Villa Lucia is in Candidasa, Bali. Candidasa is a laid back coastal town that attracts travellers looking for peace and quiet. Although Candidasa has witnessed significant development in the past few years and is not the sleepy little village it once was, it still attracts far fewer crowds than South Bali. 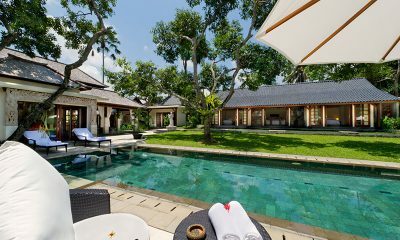 Villa Lucia sits within walking distance of Alila Manggis resort which offers great dining. The surrounding area is also a great setting for snorkelling and diving. Villa Lucia is located directly on the beach and you can go snorkelling right infront of the villa. 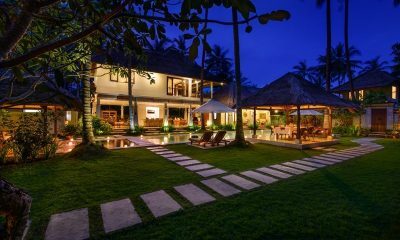 Villa Lucia is located about 90 minutes from Bali’s international airport. I enjoyed the very comfortable stay, delicious food, awesome hospitality and beautiful indoor design on the walls and around the villa. What else you want for your complete relaxing experience, far from the hustle and bustle of the city? We will try and come to visit and stay again. Just imagine your morning time – Wake up from your bed and you open the curtains, there you go! AMAZING SEA VIEW. That’s what made my day for the whole trip 🙂 I enjoyed the very comfortable stay, delicious food, awesome hospitality and beautiful indoor design on the walls and around the villa. What else you want for your complete relaxing experience, far from the hustle and bustle of the city? We will try and come to visit and stay again. Right from the entrance the word luxury comes to mind. 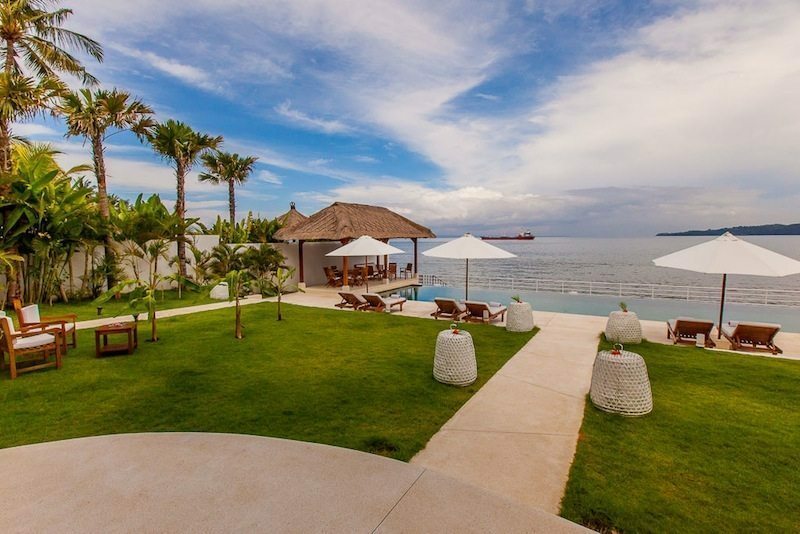 The simple and elegant design with breathtaking ocean views from the villa is something that I will never ever forget. 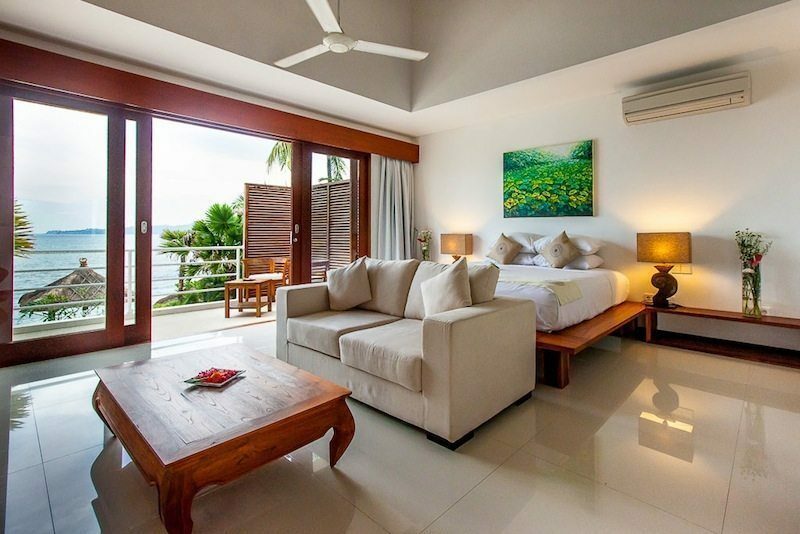 The rooms were very spacious, beds super comfy and the great thing is that all the 4 bedrooms in the villa have the magnificent ocean view. The villa food was amazing and when you have it in the dining area right next to the ocean it kind of added its own flavor with the smell of the salt air. There are no supermarkets nearby the property so get supplies from the main town if you have certain cravings! The villa staff were very friendly and professional. Beautiful Villa. Awesome view, gorgeous staff. We have had a wonderful 5 day stay, really don’t want to leave. Super wonderful and great. Iluh so super and cute and her staff so great. Thank you staff for the wonderful hospitality. We loved the view, the sound of the wave and the magnificent tranquillity of the place. Our stay in Villa Lucia was FANTASTIC! The staff were super friendly and attentive. 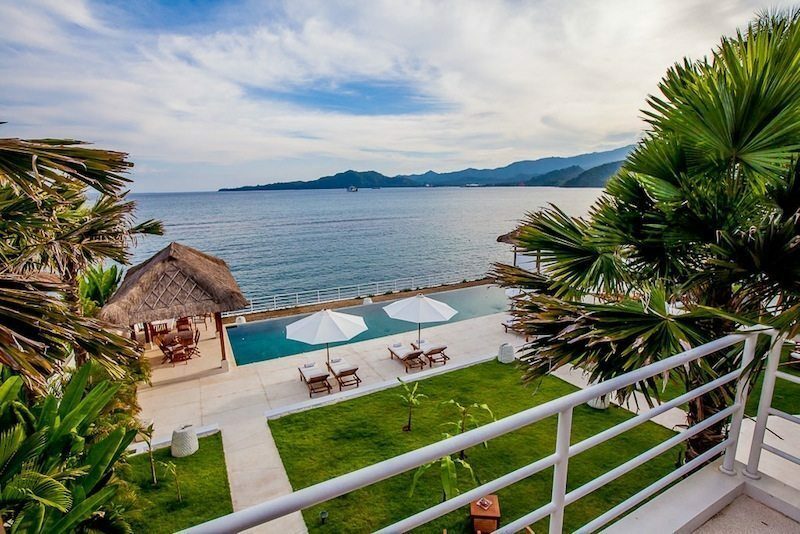 The villa had the most stunning view that just made you happy and relaxed. Our children also loved it very much. We will come again. 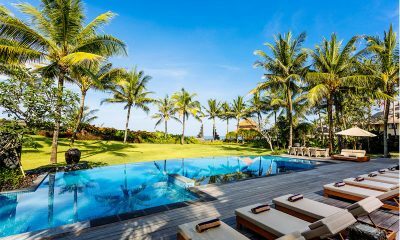 A great place to relax and discover Bali. The villa is really astonishing. and the staff very friendly. We highly recommend Mudi who organized our tour around the island. Thanks to all for the super week we spent here with our friends and family. To all the beautiful staff of Villa Lucia – thank you for making our stay here so wonderful. Your smiles and care will stay with us forever. We shall definitely come back to see you. The group had a great 5 day stay although the weather was not kind to us. Staff were great. Made our stay most enjoyable. Thanks for a great new year eve dinner. We had a perfect stay in your villa. We spent a wonderful month at Villa Lucia relaxing, swimming and enjoying every lovely sunset. Many thanks to the staff specially Iluh, Atti,Kommang and Mari. They were professional, very kind and extremely attentive. We had a fantastic week at the most beautiful place. Thank you for making our holidays so relaxing and memorable. We hope to see your smiling faces soon. Thank you very much for everything. We had a pleasant stay and hope to come back soon. Beautiful view on the sea and very comfortable house with a stunning spot at day end. Fantastic 10 days, beautiful view, villa and staff 🙂 ! Thank you all for taking great care of us. We had a wonderful time. Beautiful spot with great food and service.